From this day on, Sergi Roberto’s name will be up with those of the all-time Barça greats. There have been some incredible comebacks in the club's history, but surely none that quite compare with this. In fact, it would be hard to imagine any comeback in the entire history of the sport, indeed in any sport, that quite matches this one for epic drama. Ten magnificent minutes, and all culminated by the historic goal from Sergi Roberto, who had come on in the 76th minute in place of Rafinha, after PSG had pulled a goal back. After almost climbing one mountain, Barça found themselves having to do it all over again. With just one minute of regular time left on the clock, Neymar Jr created a glimmer of hope with his magnificent free-kick. Moments later the same player was converting a penalty. All of a sudden, Barça were back from oblivion and just one goal away from a quarter final berth that had seemed impossible just a few breaths earlier. The tension lasted until the final minute. Right until the very last second. Spurred on by the 96,290 souls in the Camp Nou, who suddenly realised that they could be on the verge of witnessing a miracle. Barça threw everything, Ter Stegen included, at PSG. And there was Sergi Roberto to finish off the deed and spark off one of the most frenzied celebrations that the Camp Nou has ever seen. So remarkable was the situation that it surely even eclipses Jose Mari Bakero’s amazing last-minute goal against Kaiserslautern to keep the dream alive on the way to the club’s first ever European Cup in 1992. Andrés Iniesta’s historic goal at Stamford Bridge in 2009, en route to another European crown, this time in Rome, also came in quite extraordinary circumstances. But the night of 8 March 2017 was something even more extraordinary than that. Before the game, sceptics were mocking the sheer audacity of the Barça players and fans that suggested that they could turn around a 4-0 deficit against a team like PSG. Even the most diehard of believers in the comeback were starting to lose faith when Cavani grabbed an away goal. Barça needed a miracle. And the miracle happened. 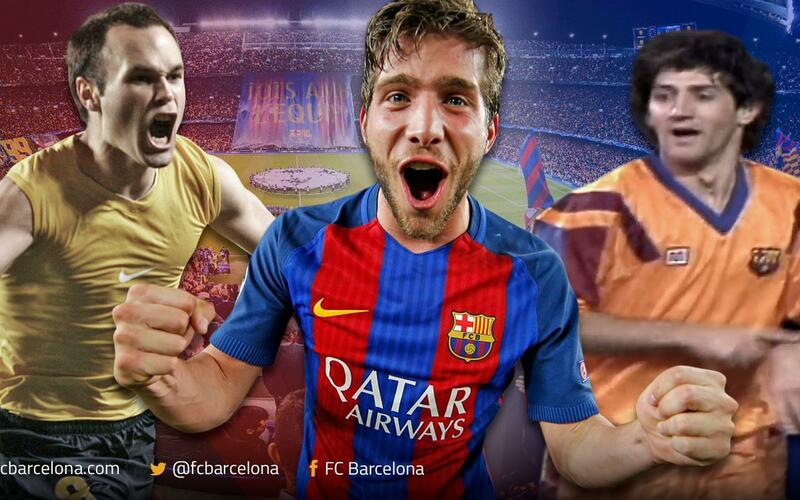 And the man who made it happen was Sergi Roberto. And for that, he will always have a hallowed place in the annals of the greatest football team the world has ever seen.